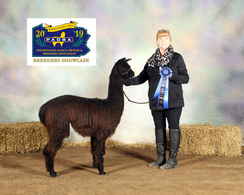 1/2 Accoyo with a beautiful black blanket and enough white on his neck and front legs to get him into the multicolored class. Combine two of the best bloodlines in the country and look what you get, amazing luster, fineness, density and conformation. 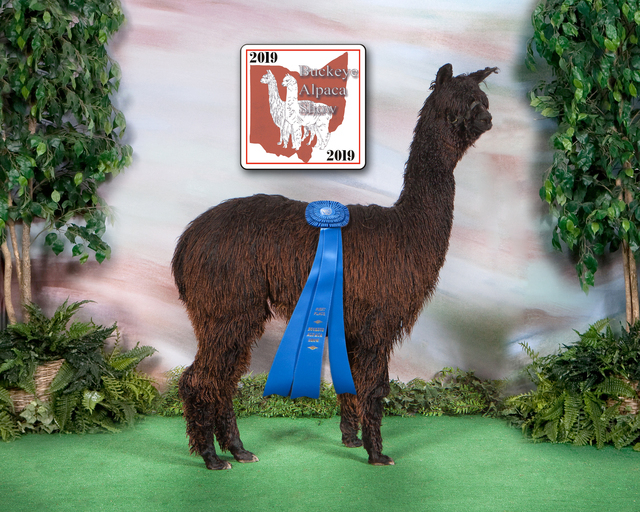 He's got it all and now he has 3 beautiful little crias.